Centre for Bhutan Studies & GNH Research. (2016). A compass towards a just and harmonious society: 2015 GNH Survey Report. Thimphu, Bhutan: Centre for Bhutan Studies & GNH Research. Retrieved from http://www.grossnationalhappiness.com/wp-content/uploads/2017/01/Final-GNH-Report-jp-21.3.17-ilovepdf-compressed.pdf. Livni, E. (2018, September 16). Everyone hates postmodernism—But that doesn’t make it wrong. Quartz. Retrieved from https://qz.com/1388555/everyone-hates-postmodernism-but-that-doesnt-make-it-false/. Merrin, W. (2007, March 8). Jean Baudrillard: 1929–2007. Evatt Foundation. Retrieved from http://evatt.org.au/news/jean-baudrillard-1929-2007.html. New Economics Foundation. (2014). About the happy planet index. Retrieved from http://www.happyplanetindex.org/about/. Oxford Poverty & Human Development Initiative (OPHI). (n.d.). Bhutan’s gross national happiness index. OPHI. Retrieved from https://ophi.org.uk/policy/national-policy/gross-national-happiness-index/. Pawlett, W. (2014). Baudrillard’s duality: Manichaeism and the principle of evil. International Journal of Baudrillard Studies, 11(1). Retrieved from http://www2.ubishops.ca/baudrillardstudies/vol11_1/v11-1-pawlett.html. van Kessel, C., & Kline, K. (2019). “If you can’t tell, does it matter?”: Westworld, the murder of the real, and 21st century schooling. 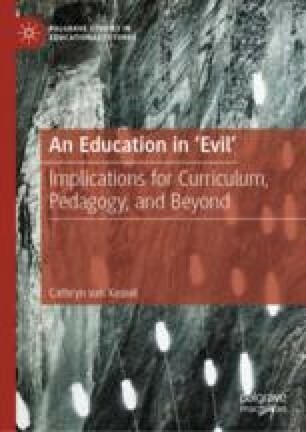 Journal of Curriculum and Pedagogy. Advance online publication. https://doi.org/10.1080/15505170.2018.1542358. Wark, M. (2014, April 30). Is this still capitalism? Public Seminar Commons, 1(2). Retrieved from http://www.publicseminar.org/2014/04/is-this-still-capitalism/#.VBUFly5dWMV.